Designed by Heidi Kenney, Gran's Sewing Basket features vintage button packages. 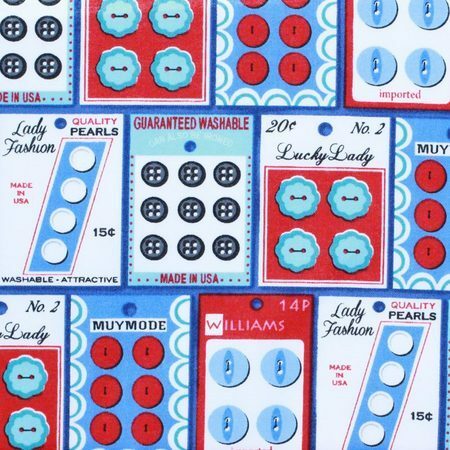 Each row contains a repeating pattern with five different packages of buttons. 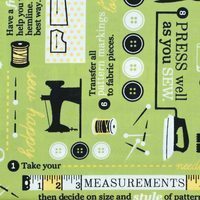 Use this fabric for your next sewing themed project.